You’re in control of an automobile, so if you operate one while in an altered state there’s a good chance you’ll endanger yourself and others. Police are on the lookout for DUIs, so even if you’re a little tipsy it’s better to call a cab instead of risking an arrest and hefty fines. Same goes for driving drowsy – don’t drive if you’re not fully focused on the road. If the sign says 35, that’s the limit. Going over increases your risk of being involved in an accident or collision with a pedestrian or bicyclist. Ultimately, even if you break the speed limit by 10 mph, it’ll only buy you a few more minutes. Take your time and don’t risk causing an accident. Cell phone use, music players, eating, putting on makeup and goofing around with other passengers are all leading causes of accidents as a result of distracted drivers. Invest in hands-free cell phone solutions and plan ahead to stay focused on the road and offset your risk of distracted driving accidents. Just because you’re a focused and safe driver doesn’t mean the other drivers around you are. Look out for other drivers behaving irrationally and dangerously so that you don’t become involved in an accident as the result of someone else’s bad driving. Checking tire pressure, replacing wiper blades and keeping brakes working effectively are all key elements to maintaining a safe vehicle. It’s probably been a while since your vehicle last saw a mechanic’s trained eye, so getting a professional opinion on the state of your vehicle can help you stay safe out on the road. If you or someone you love has been involved in a car accident as a result of an unsafe driver, contact the offices of Martin Law, PLLC to find legal support and guidance. We use all our ability and knowledge to help our clients obtain compensation for their injuries. Lawyers in Lee’s Summit, MO have won a $15 million personal injury case for a client who was injured when his boat exploded. Lawyers Rob Sullivan and Tim Morgan represented the plaintiff, Donald Black of Valley Park, MO. The Camden County jury found that the design of the boat’s fuel system was faulty. Smokey Dyer, the former fire chief of Kansas City and Lee’s Summit, provided expert testimony in the case. Burn evidence showed the fuel line separated at a critical connection and a hose had worked its way loose from a metal piece. When Black turned on the bilge pump, leaked fuel in the cockpit and around the hull exploded and burned him severely. He was in the hospital for several months and racked up $1.3 million in medical bills. He sometimes was placed into a coma and his heart stopped six times. Skin grafts, reconstructive surgery, and further ongoing health risks became a reality for Black. The defendant was a former subsidiary of Brunswick Corporation. A law firm in Calgary is working on the first known personal injury case that will incorporate activity data from a Fitbit device to help show the effects of an accident on their client. Though the woman who was injured didn’t have a Fitbit at the time of the accident, but since she was a personal trainer at the time, her lawyers at McLeod Law think they have a case that her active lifestyle was severely affected by comparing Fitbit data compared to the baseline for someone of her age and profession. Doctor’s testimony and observations of an injured person are commonly used to determine physical ability after an injury. Showing measured data over a long period of time wasn’t possible without undue commitment and time on the injured person’s part, so this technology may change common practices. On the flip side, insurers will want access to this data as well, so expect to see this information used on defendant’s cases as well. Contact the Offices of Martin Law, PLLC for your legal guidance and support for your personal injury case. Get the justice you deserve. Check yourself and others for injuries and call 911 if necessary. Call the police and insist on a police investigation. This will create an accurate report of the facts. Avoid discussing fault with the other parties involved in the accident. Get names and phone numbers of all witnesses to the accident. Take photographs of the damage to all vehicles as well as the accident scene. Keep a disposable camera in your just for this purpose. Use your phone or borrow a witness’ camera or phone if yours is broken during the accident. Describe the damage to your vehicle. Draw the scene of the accident. Show the position of vehicles and the direction of travel. Show any lights and signs. Show distances. If you or someone you love is involved in an automobile accident, contact us to discuss your case and get the expert advice you need to seek justice. When you cross the street, walk to and from your office on your lunch break, or traverse Seattle’s sidewalks as you enjoy a night out on the town, just how safe are you? Whether or not you follow pedestrian traffic laws such as crossing at crosswalks instead of ‘jaywalking’, pedestrians are at risk for all kinds of injury and even death – just by walking down the street. However, walkers still need to practice caution while they go about their travels throughout the city – particularly if they are elderly, as a 2011 local Crosscut article noted. More than half of the 62 traffic fatalities from 2008-2010 involved pedestrians, and the average age of the 25 pedestrian fatalities was 64. Follow pedestrian traffic laws. Many walkers know that vehicles and even cyclists must always yield to pedestrians. While this is certainly true, that doesn’t make it safe to assume or trust that drivers and cyclists will – or can – do so. Don’t cross the street where there is not a marked crosswalk or pedestrian crossing sign. Even then, look both ways and wait for drivers and cyclists to come to a complete stop before crossing in front of them. Walk with others. Research has shown that accidents and fatalities resulting from pedestrian-car accidents are reduced in areas where there are more people walking. As you commute, choose routes with higher pedestrian traffic. Be noticeable and alert. When walking at night, wear reflective and bright clothing, and if you can, carry a flashlight. Do not walk and talk on the phone or text-message – especially when crossing the street. Stay alert and take note of vehicles that seem to be speeding, allowing them to pass or stop before you cross the street in front of them. If you or someone you love is a pedestrian involved in an accident with a car or bicyclist, please contact our offices to acquire the guidance and expertise to seek justice. When you are injured and your car is damaged in a car accident that is the fault of another driver, you are entitled under the law to compensation for certain damages. In order to get the best result in compensation, you should always talk to witnesses, document the scene (with photos, if possible), call the police, and never sign anything without the presence or support of your personal injury attorney. Restitution for property damages. 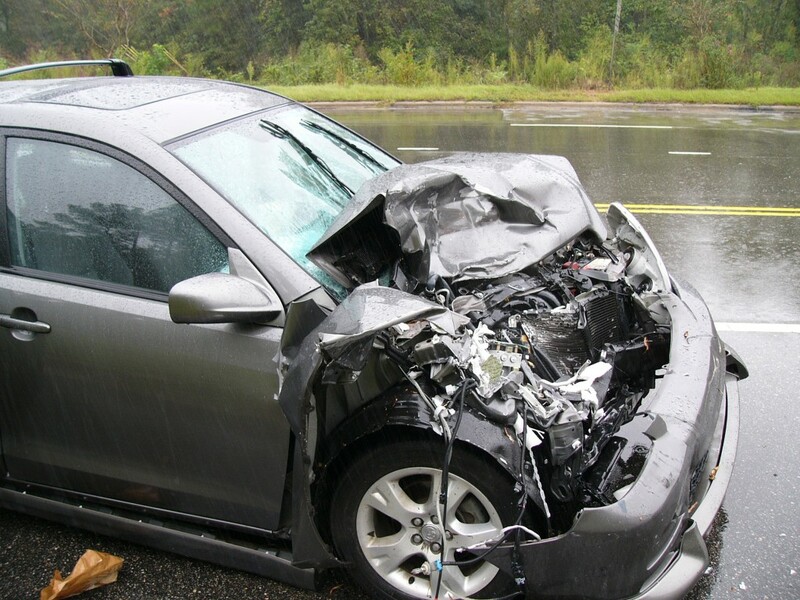 When your car is hit and damaged in an accident – no matter how minimal the damage – the at-fault party’s insurance company should cover a settlement amount to cover the repair costs of the damage. Recompense for medical fees related to your physical injuries. If you were injured in a car accident, whether the injury was extensive or developed later (like whiplash), the personal injury damages award to you should include compensation for any medical care and treatment associated with the accident. This compensation may come in the form of reimbursement for treatments you have already received and paid for, and/or funds for estimated future or continuing costs. Reparation for loss of income. If you had to miss work (and therefore, were docked pay) due to your injury recovery or medical treatment, you may be eligible for compensation for income you have lost and have the potential to make, were it not for the accident. Compensation for emotional distress. Sometimes (and more often for serious accidents), you are entitled to compensation for ‘pain and suffering’ on an emotional level such as anxiety, fear, sleep loss and other responses to trauma. You may also be eligible for recompense for loss of enjoyment in your recreational activities because of the accident, and even for ‘loss of consortium’ – or the loss of companionship or your ability to maintain a sexual relationship with your spouse. If you or someone you love has been involved in a car accident where the other driver was at fault, please contact the Offices of Martin Law, PLLC for your legal guidance and support. We will use our expertise and knowledge of the law to acquire just compensation for your losses. Featured photo from here, labeled for reuse. The fun and freedom of taking your motorbike on the open road is what keeps many devoted cycle fans on the road. Make sure your experience is not affected by a terrible accident and take some precautions to keep yourself safe as you share the road with motorists. According to the Centers for Disease Control and Prevention, over 34,000 motorcyclists were killed between 2001-2008 in the U.S., and approximately 1.2 million were treated in emergency rooms for non-fatal injuries related to motorcycle accidents. The National Highway Traffic Safety Administration reported that in 2006, the rate for fatal crashes involving a motorcycle was 72.34 in every 100,000 motorcycles, versus the rate of fatal car accidents, which was 13.1 in every 100,000 cars. Start your safe driving practices with appropriate safety gear; it is the only thing between you and the road. Before you even get on your bike, be sure you are completely drug and alcohol free for your safety and that of everyone else on the road. Take a quick walk around your bike to evaluate your bike’s condition. Be on top of possible broken parts, maintain controls and proper oil changes on schedule, as well as check the chain, suspension, tires, signals working and proper tire pressure. Be seen, be heard. Lights on and use your horn if signs of danger are imminent. Ride smooth. That is to say to keep throttle use consistent and even steering pressure and acceleration. Smooth riding will not only give you better gas mileage and reduce wear and tear on your bike, but it makes it easier for other drivers to see you better and anticipate where you will be. Always be aware of where you are in relationship to other drivers, including what is happening with oncoming traffic. Keep a clear line of sight and travel path. If you can’t see as well due to weather, darkness, or curvy roads, slow down to be prepared for what lies ahead. Allow extra space and time to adjust yourself to other motorists’ movements. Travel in the part of the lane where you are most visible. Always use your signals for lane changes, drive as if you are invisible and assume other drivers can’t see you: Ride particularly defensively. Check left front, right, then left again before proceeding through an intersection. Know what hazards may await you and be prepared to adjust. Always check your rearview mirror before reducing your speed. Slowing down too quickly when a car is on your tail can put you at serious risk. Allow for a 2-4 second following distance. If it is night or any weather conditions, increase that to 4-8 seconds to allow for the best cushion for safety. Pay attention to turns and curves. They pay a significant role in the majority of motorcycle accidents due to rider error. Know where driver’s blind spots are and take care not to ride in them. The far left lane is usually the safest lane due to less vehicles merging from that side. Also pay attention to highway exits that are on the left, as cars will be merging to exit and entering the highway occasionally from the left also. The Motorcycle Safety Foundation is committed to promoting safe driving and rider education nationwide. MSF can connect you with motorcycle safety classes near you. Their site has a free library with great resources and tips. Check it out! If you have been involved in a motorcycle accident and you are not at fault, contact us at Martin Law, PLLC for a free case evaluation. 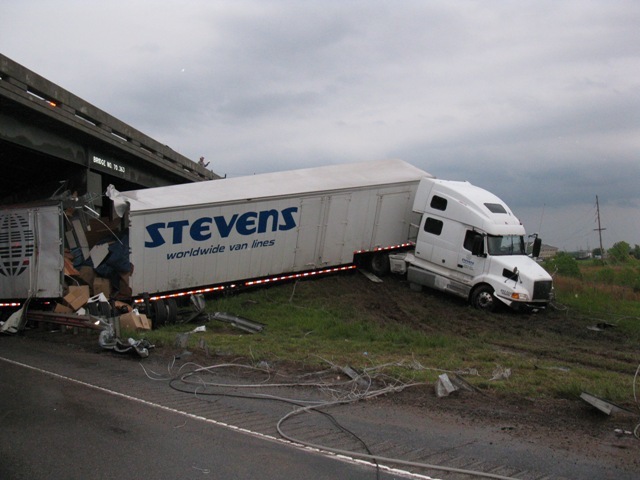 Semi truck accidents are seldom without serious injuries and often cause fatalities, since they typically occur on highways where vehicles are traveling at high speeds. Combined with the speed of travel and the size of these trucks, the risks of serious injury and even deaths when an accident occurs are very high. Semi trucks usually weigh more than 10,000 pounds, and depending on the load they are carrying, can take much longer to stop than a normal car or passenger vehicle – especially when traveling at highway speeds. This article includes key information and semi truck accident statistics for the Seattle area, King County, and Washington State. If you or someone you love is involved in a semi truck accident and has been injured or killed, please contact our offices for legal services. Since semi trucks are often owned and operated by large companies with legal teams and insurance adjustors to defend their claims, it is critical that you acquire legal representation to fight for your just recompense. Martin Law PLLC specializes in providing expert-level legal representation, to ensure you and your loved ones receive just compensation for personal injury or wrongful death cases. The fatal accidents in 2011 were down to 19 from 23 in 2010, with 20 total fatalities in 2011 and 25 in 2010. Vehicles involved in fatal accidents were also down 29 in 2011 from 36 from 2010. A total of 37 people were involved (injured, killed, and uninjured) in fatal car accidents in 2011, down from 45 in 2010. Only 5 pedestrians were involved in fatal auto accidents in 2011, compared with 10 pedestrians in 2010. Fatal drunk driving collisions decreased in 2011 to 7 from 11 fatal accidents caused by drunk drivers in 2010. A car accident occurred every 5 minutes. An individual died in an auto accident every 20 hours. Every 12 minutes, someone was injured in a car accident. Crashes involving a motorcyclist occurred every 4 hours. Pedestrians or cyclists were involved in a crash every 4 days. Every 25 minutes, a car crash involving a speeding driver occurred (Speeding was the most frequent contributing circumstance in all collisions). An impaired driver (i.e. DUI) was involved in a car accident every 2 hours. A fatality occurred as a result of a car accident involving an impaired driver every 2 days (Half of all traffic fatalities involved an impaired driver). 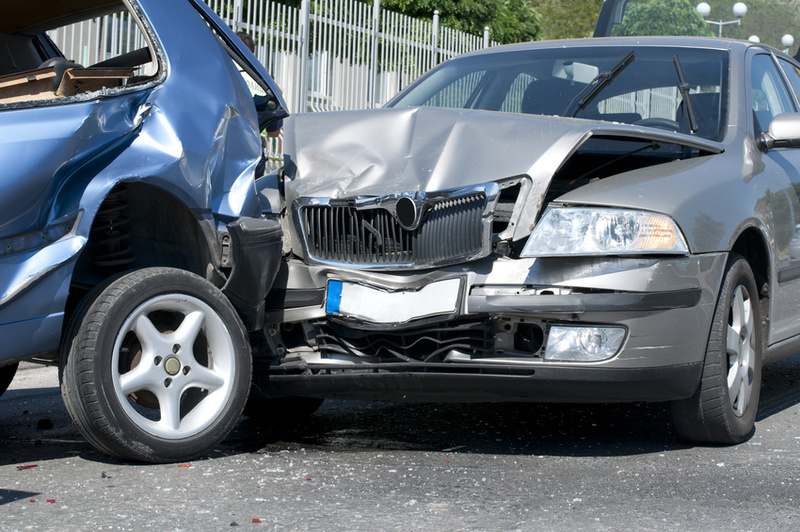 In the year 2012, there were 99,560 car accidents across the state of Washington. For a national picture of fatal car crashes, click here for a map of fatalities from a collision involving a motor vehicle between January 2001 and December 2009. If you are involved in a car accident that caused you injury and were not at fault, contact the office of Chuck Martin. I will use my extensive knowledge and expertise to acquire the best possible settlement outcome, and argue your case for justice. When you are the victim of an accident due to another driver’s carelessness or mistakes, it can be a harrowing time to deal with insurance, vehicle damage, and any injuries that were sustained. You have rights under the law as a victim of a car accident, and you should protect those rights to avoid paying for someone else’s missteps or negligence. You can’t always rely on other people or insurance companies for justice. Even if the driver(s) responsible for the accident provide you with all the important information to help you get medical and vehicular reparations, their insurance company may prove difficult. Many – if not most – insurance companies will do their best not to pay or pay as little as possible for claims. They may try to pressure you or rush you into a settlement, which will often be less than fair coverage for your property and personal injury. A car accident lawyer or personal injury attorney can help to get you just compensation for your property damage and any injuries. There are certain rules to follow and steps to take to sue. It’s not always as easy as filling out a police report and ‘pressing charges’. Sometimes there will be other rules that require your compliance, or more requirements that you must meet in order to be eligible for personal injury restitutions after a car accident. A lawyer can help you navigate all of these needs. Lots of potential damages are available – which can you receive? People injured in car accidents are eligible for lots of different damages, beyond just coverage for your medical bills and repairs for your car, and a car accident lawyer can inform you of all of the damages you are eligible for. It’s all in the negotiation and representation. A personal injury attorney will be prepared and skilled to negotiate and represent your interests, both with insurance companies and in court (if necessary), for your fair compensation. If you have sustained personal injury in a car accident that was not your fault, please contact our offices for a conversation about your situation. We can help you to acquire a fair settlement for your injuries.